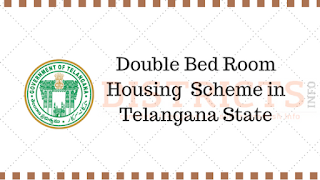 Double Bed Room Housing Scheme : Firstly we have to congratulate the Telangana state chief minister k.chandra Shekar Rao for his dedicated works for improving Telangana State as Golden State in India. After Aasara Pension scheme for different categories, KCR concentrated on providing Double bedroom Houses for Telangana Poor People who lives in rural and urban areas. 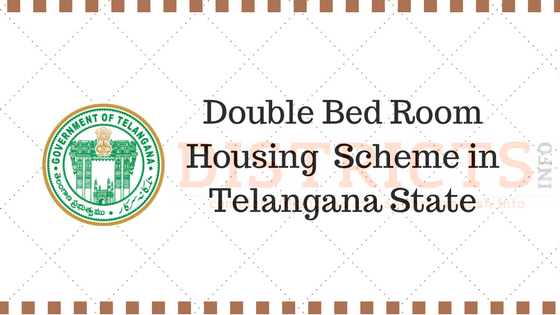 Telangana State Double bedroom houses scheme full details. How to apply for a double bed room house? Mee Seva centers will give an application form to fill the details regarding double bedroom houses.Candidates(People) of Telangana are confused from few days as for where to go and whom to meet for applying the new Telangana housing scheme that is Double bedroom scheme.Candidates who are looking for a house or Candidates staying in the rented house can approach a nearby Mee Seva center and apply accordingly as instructed by the Mee Seva representative. Check below the list of Meesave Centres updated one for your convenience. Telangana State Housing Corporation Limited (TSHCL) aims to bring dignity to each and every BPL family by assisting them, both financially and technically, for the construction of permanent (Pucca) houses. The financial assistance is provided as per the various schemes of State Government and Government of India. Go to your nearest Mee Seva Center to apply. You need to provide Ration Card, Aadhar Card, and a photograph. Steps to get Telangana houses for Poor people around us. We clearly Explained step by step procedure for the housing scheme. 1)At present, the application is available at Only at Telangana MEESEVA Centers. 2)The application Form should be filled with exact details what is in your ID Proof. 3)Set of Photos, EPDS Ration Card (FSC Application Search), Aadhar Cards must be attested with the application form (Only Xerox Copies). 4)Most important is, Please provide reference address with House number instead of plot number.Age, phone number, Area, division, district, state, pin code all are necessary for verification.